• Dental implants are very natural looking, strong, and durable. • Dental implants do everything that natural teeth do. • Dental implants help to stop bone loss in the jaw. • Dental implants are easy to care for. There really is no better way to replace missing teeth lost to tooth decay and other problems. To arrange a dental consultation today, call Dr. Chris or Dr. Dan Stevens in Sun Prairie, WI. Many adults have lost their teeth because of tooth decay or gum disease. About 70 percent of adults in their 40s are missing a tooth and about a quarter of all seniors have lost all of their natural teeth. More patients today are choosing dental implants in the Madison, WI area with Dr. Chris Stevens or Dr. Dan Stevens to replace missing teeth resulting from tooth decay and gum disease because they look beautiful and provide lasting health benefits that traditional methods cannot. Implant dentistry now makes it possible for patients to replace their missing teeth with treatments that make smiles look and function like natural teeth. Implants are strong and dependable and because they are fused to the jaw bone, they work the same way that real tooth roots would, stimulating the bone to keep it healthy. 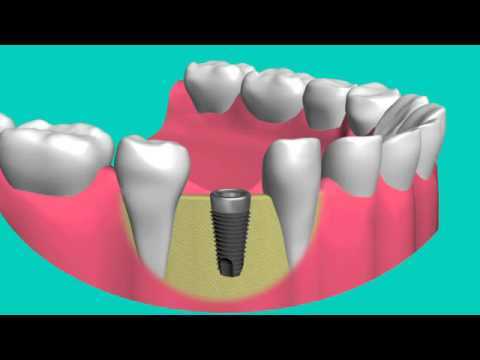 Dental implants are made with body friendly titanium that Dr. Stevens surgically places inside the jaw where it fuses very naturally to the bone, through a process called osseointegration. These new “tooth roots” will engage the bone each day, keeping it strong and vital while the crowns sit above the gum line to look and function like beautiful healthy teeth. Dining and socializing, that means smiling and eating the foods you love, are effortless and pleasurable with dental implants. Traditional tooth replacements, such as conventional dental bridges and dentures, may provide a solution but they come with complications. Dentures sit on the gums and actually lead to bone loss and sagging facial muscles. They are also a hassle to wear for most patients. Dental bridges are also used to replace missing teeth in Madison, WI but they require two natural anchor teeth, which have to be filed down first, making them weaker and more prone to tooth decay and other problems.